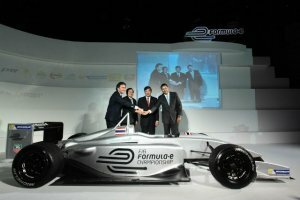 Will Formula 1 Teams Compete in Formula E Championship in Future? This is a series that will be pretty similar to Formula 1, as it will have free practice sessions, qualifying sessions, as well as pit stops. It already has some strong ties to Formula 1, considering that McLaren, one of the most popular F1 teams will supply the motors, transmission and the electronics for all Formula E teams, Williams will build the batteries, and Michelin will be the official tire supplier. As far as the cars themselves are concerned, they will be developed by Renault, in collaboration with Spark Racing Technology. Now, after the details regarding host cities and other technicalities have been sorted out, Formula E officials are working on assembling a group of teams that will compete in the series. 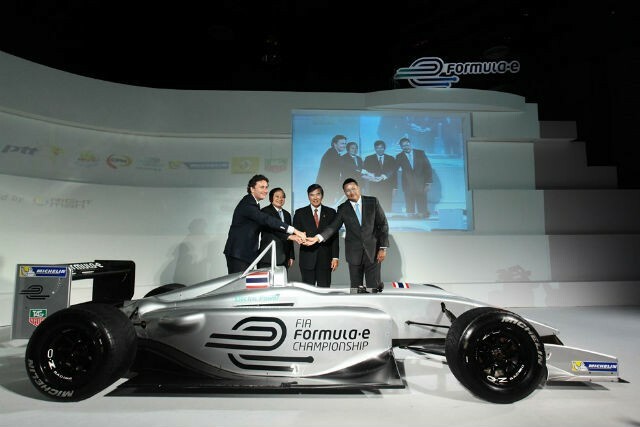 So far, three teams have been confirmed – Drayson Racing, China Racing, and Andretti Autosport. Apart from these teams, Agag is hoping to attract a couple of Formula 1 teams, that will definitely make the series more exciting. The Formula E organizer has stated that he is almost certain that the most legendary F1 team, Ferrari, as well as Red Bull, one of the most successful teams in the past couple of years, are going to participate in the electric racing car series in future. If this happens, it will make Formula E very attractive and exciting, and it will surely be a reason for a lot of sponsors to decide to invest in the series, which will help the series progress and improve. Additionally, Agag has said that some of the cars will be driven by former F1 and GP2 drivers, but hasn't revealed any names. However, although Agag wants to attract F1 teams to his series, he says that Formula E is not intended to be a replacement for F1, as he is a great fan of F1. But, until F1 teams decide to join the series, which is probably just a matter of time, Formula E will have to rely on teams such as Drayson Racing, which has developed the all-electric Lola B12 69/E, a racing car that holds the title for the world's fastest electric car. It recently broke the world record by reaching 204 mph, which proves that electric cars can be pretty fast and races with all-electric cars can be quite interesting and exciting. Jordan Perch is an automotive fanatic and “green cars” specialist. He is an author of many how-to articles related to safe driving, green technologies, auto insurance etc. Currently blogging for DMV.com.